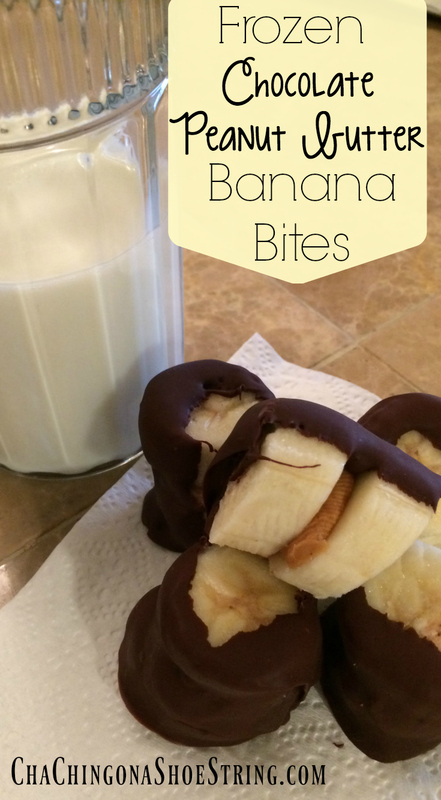 This is the perfect thing to whip up when you find a good deal on bananas! 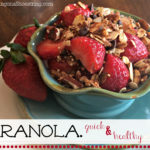 It only requires a few ingredients and little prep but in the end is a delicious snack for the kiddos. 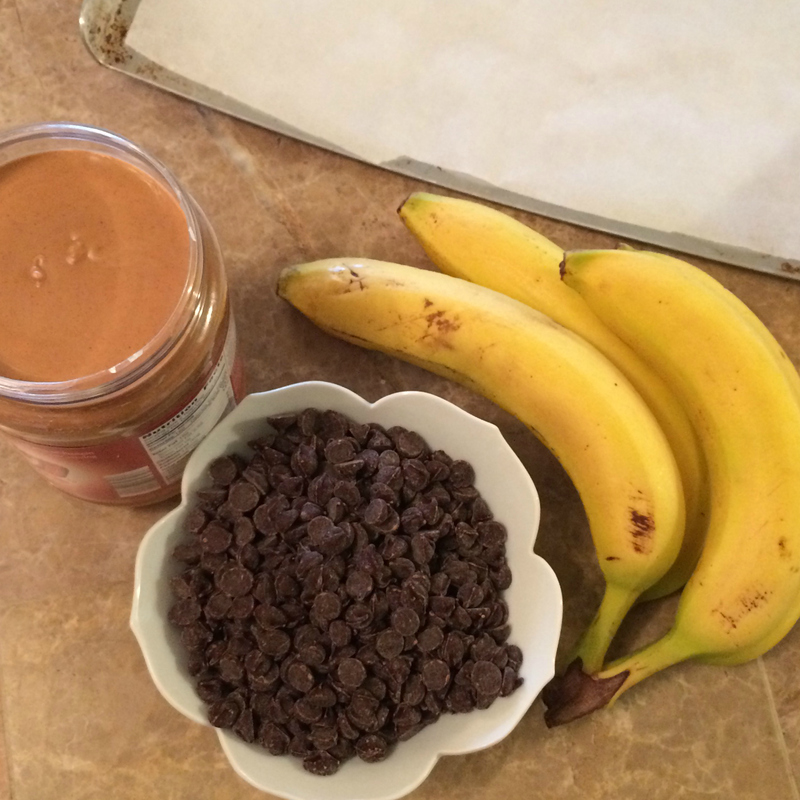 The only requirements for these goodies are: bananas, peanut butter, chocolate chips, a cookie sheet & parchment paper. 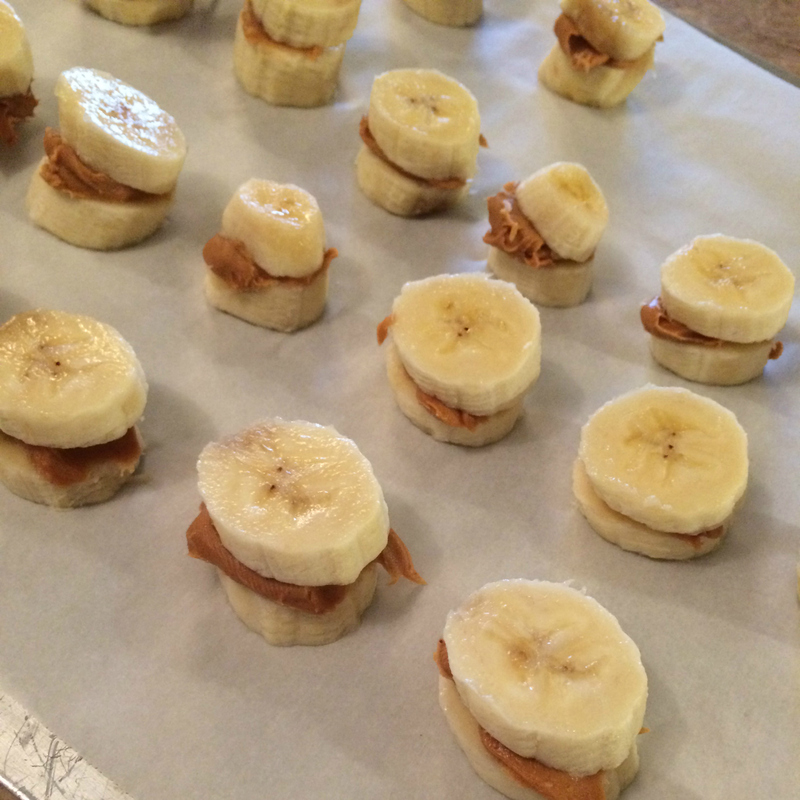 Begin by slicing the bananas into 1/4 – 1/2 inch slices. 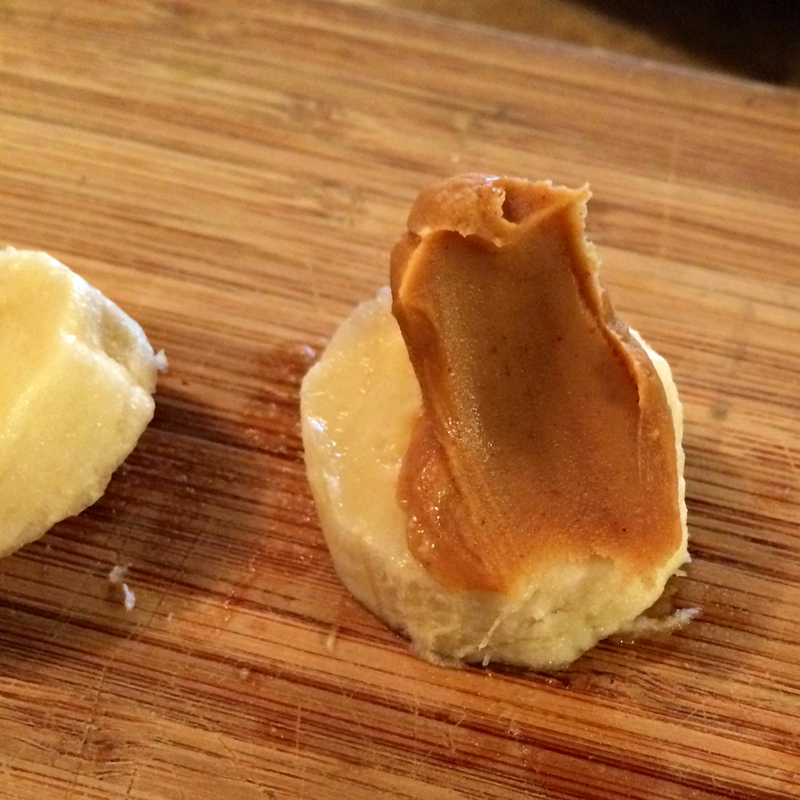 Spread peanut butter between two slices of banana and place on a cookie sheet lined with parchment paper. 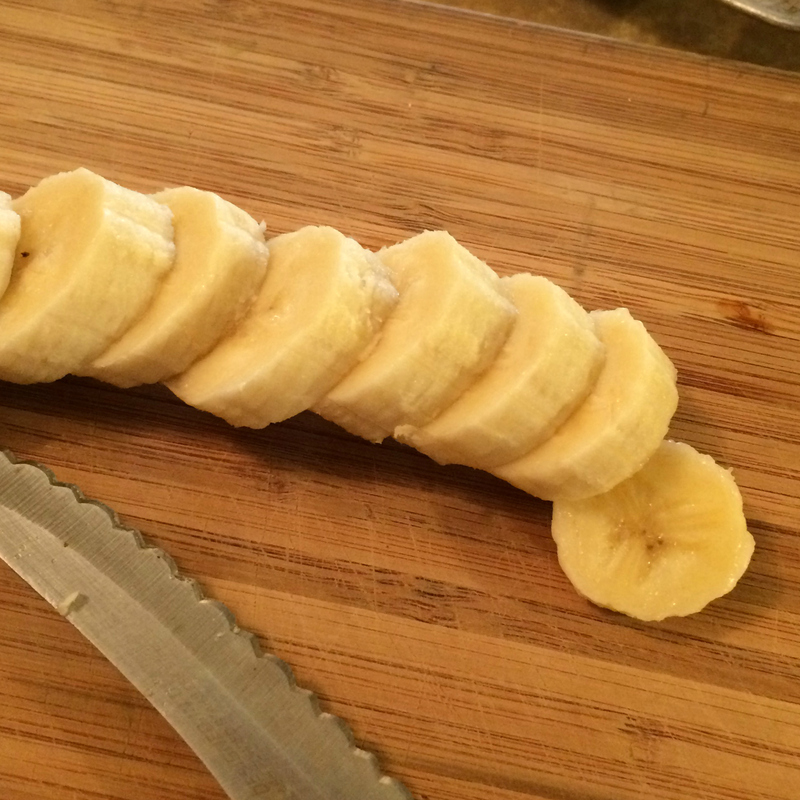 I used three bananas per sheet. 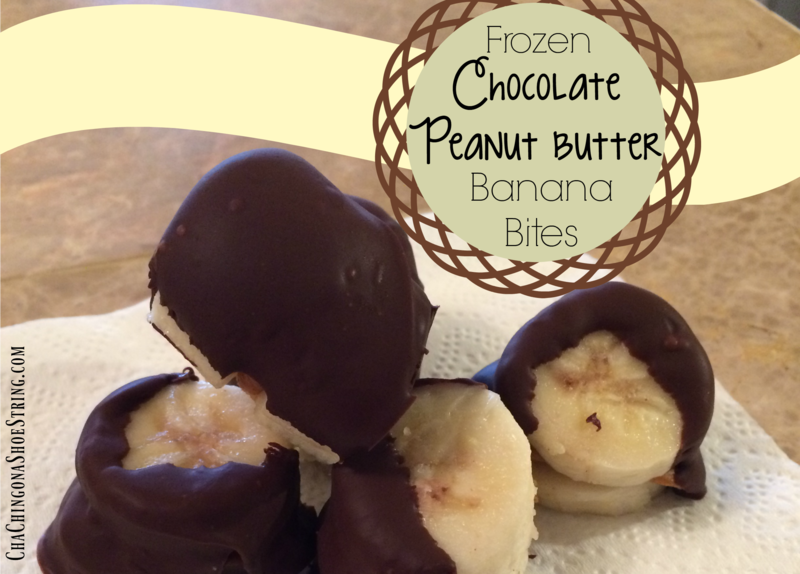 Place the cookie sheet in the freezer for about an hour or until bananas are firm. 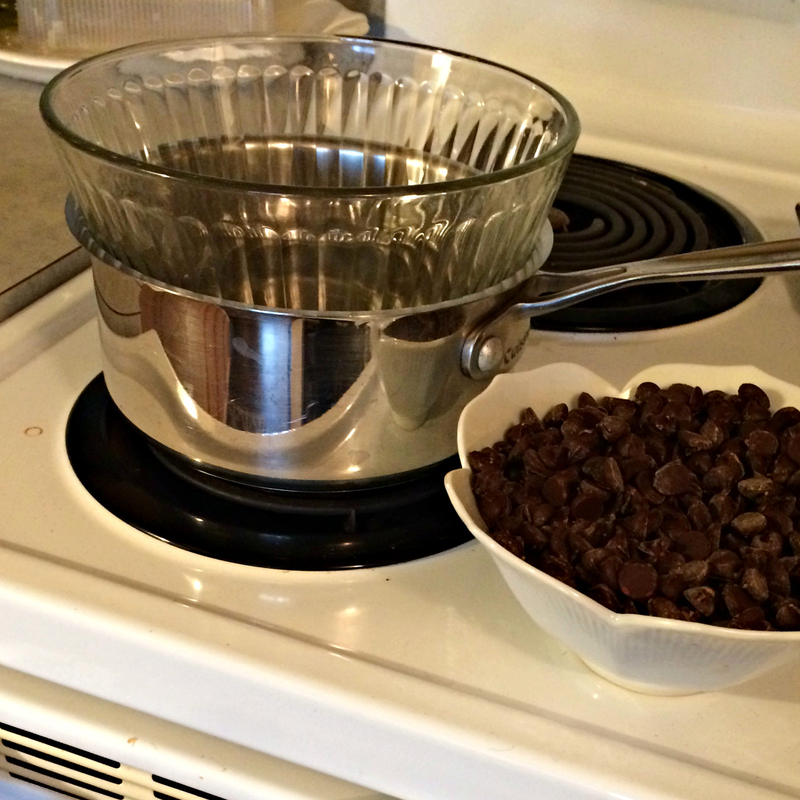 In a double boiler over medium heat, melt chocolate chips until smooth. 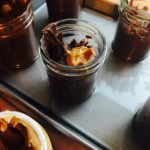 I also added a teaspoon of coconut oil to help the melted chocolate chips spread more effectively. 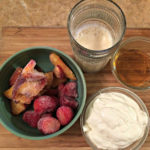 Dip the frozen banana bites in chocolate and remove with two forks or a pair of tongs. Return chocolate dipped bites to the same cookie sheet lined with parchment and return to the freezer for another hour. 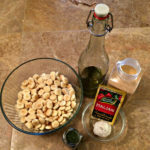 Once firm they are ready to eat or place in an air tight container to be stored in the freezer for 1-2 weeks.